Blog – MESH kids co. Happy Motor Monday, MESH Friends! Can you believe summer is winding down? Some districts have already started school, which is a reminder to me that work will be starting up again soon! I’ve been so spoiled being able to stay at home and play with Tessa all summer, it will definitely be an adjustment for both of us to get back into the groove of things. With that said, I want to do a different type of post today and share with all of you one of my biggest passions as a clinician and mommy. VISUAL MOTOR development! So often, we hear about our children’s fine motor and gross motor developments–but our visual system tends to get left out of the conversation. Having worked for so long as a Vision Therapist, I am always looking for ways to incorporate visual skills into the activities that I do with Tessa, so today, I want to share with you some of the foundational visual skills that we can all work on from when our babies are born! From day one, we can work on our baby’s visual development by making sure to engage baby from all different directions – for example, when placing your baby into their bassinet or crib, alternate the direction from which you place your baby into their bed. This will allow them to see the “world” from a different perspective each time they are entering/exiting their crib. Another easy one to do in the early days is making sure to rotate baby with each feeding which most tend to do when breastfeeding; for those who are bottle feeding, you want to make sure to rotate them for feedings as well! In the first couple months of life, it’s also important to remember that their visual system is still developing so placing any visual stimuli within 8-10 inches of their face is really where you want to keep it for optimal visual engagement. Babies are also most interested in familiar faces and high contrast objects so incorporating high contrast cards such as these cards by Genius Baby Toys or making/printing your own and placing them around the house is a great idea! Below is a throwback of when Tess was around two months old – we had high contrast cards/images all over the place! (I tend to be a little extreme with the things I’m really passionate about. I mean, these cards were seriously everywhere!) These particular ones in the photo were positioned just above her bassinet so that when she laid down, she could look at them. We also made sure to rotate her position often so that she would turn her head in all directions to look towards the images. 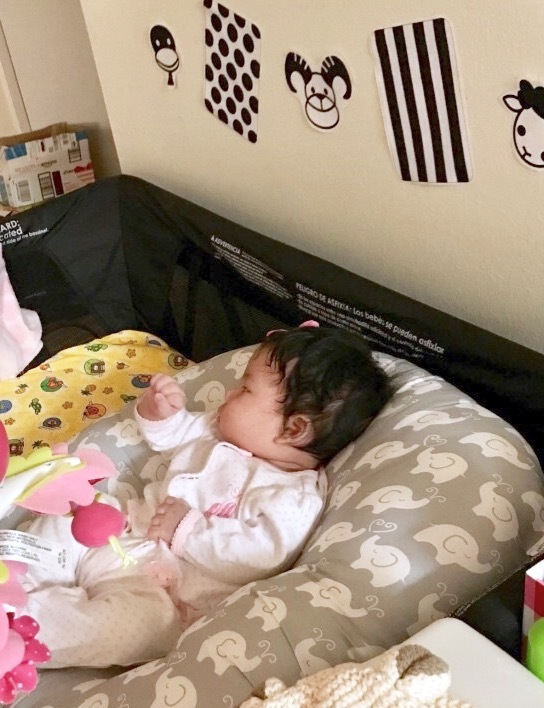 We also placed high contrast cards around her crib (both low and high), as well as at eye level on our walls for when we would carry her upright and walk around. These are just two skills but are skills that you can really interact and incorporate into your baby’s daily routine! Fixation happens often, whether it’s looking at your face, at a high contrast image, a toy, etc. When you notice your baby fixating, you can start to challenge your baby to track by slowly moving the object of interest in all directions–slowly up and down, side to side, circles, figure 8’s, etc. And of course, you know it–one of the most important positions a baby should be in daily to practice these skills is TUMMY TIME! You’ve heard a million times why tummy time is so important for building strength, and coordination, and it’s no different for visual development as well! Making sure to provide engaging and motivating stimulus during tummy time is key to helping your baby develop the vital visual skills. 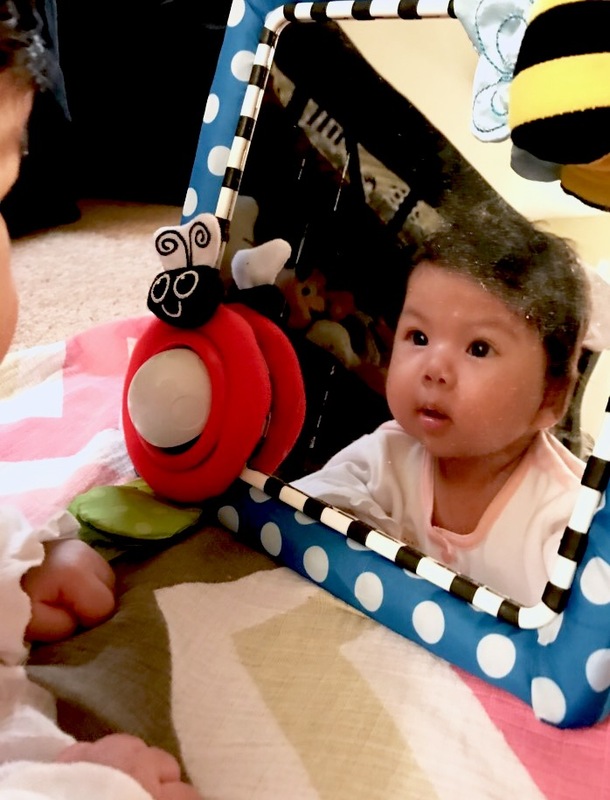 We loved our tummy time mirror because it has high contrast fidgets/objects mounted to it so it “grew” with her – she loved to look and fixate on the objects, then she was motivated to bat at them, and eventually she learned to play with the objects as she learned to sit up–and also eat the mirror like everything else during that mouthing stage! Even now that she is 20 months, she uses this mirror as her “play” mirror, checking herself out while making funny faces! 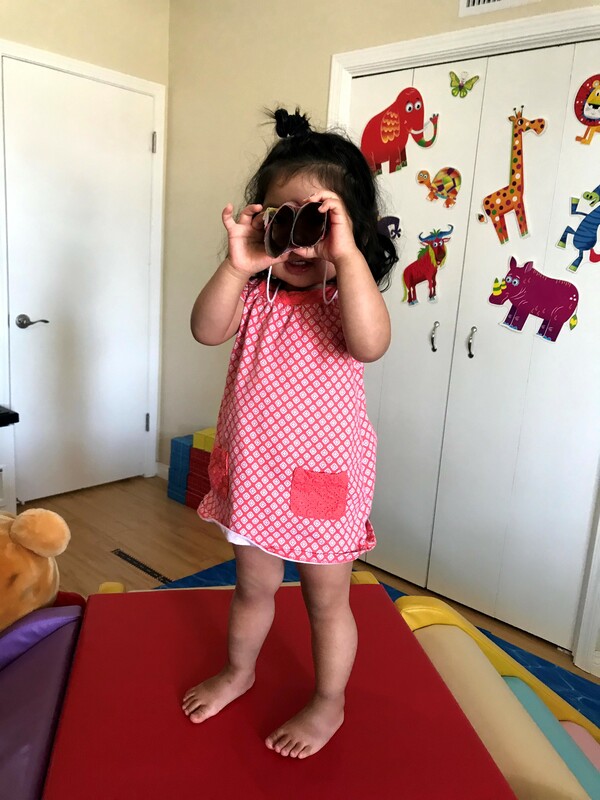 InfantSEE, developed by the American Optometric Association and Johnson & Johnson Vision, is a public health program designed to ensure that eye and vision care becomes an integral part of infant wellness care to improve a child’s quality of life. We feel so strongly about the importance of healthy vision that participating member optometrists will provide a no-cost comprehensive infant eye and vision assessment within the first year of life. You can find a doctor locator on their website. When we took Tessa in to our family optometrist for her first eye exam, it was easy peasy! She sat on my lap, the doc did a couple tests, using high contrast cards, their scopes, and a fun show projecting on the wall! 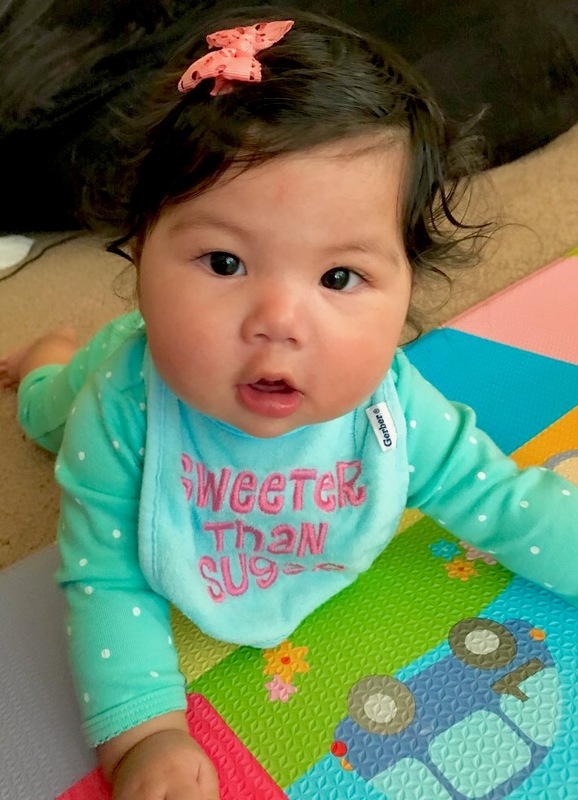 She was even dilated that day because we had some concerns with her eye movements – but she took it like a champ and we were home playing in no time! In future posts, I plan to share more in depth about some of the other visual skills and how you can incorporate the development of them in your PLAYtime with your kids. Please feel free to send over requests and questions if you ever have any! With the summer heat, little miss Tessa and I have been pretty cooped up in the house (by choice, because the AC feels so good!). With her rambunctious personality and high energy level, it keeps me on my toes finding activities to entertain her throughout the day. This week, I want to share with all of you some ways we use our climbing module to work on some very important motor skills! We started off in the morning with our table top craft. 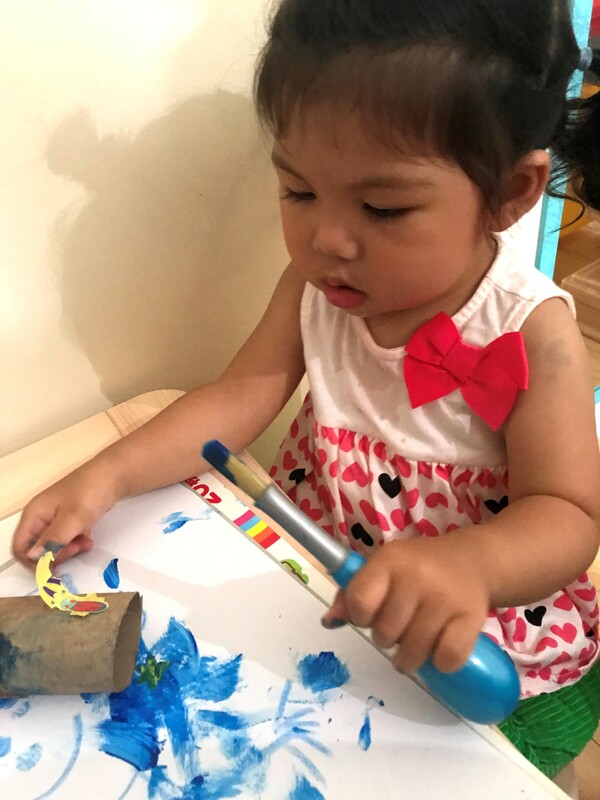 Tess LOVES to paint and asks for it every day, so we worked on using both hands together (Bilateral Coordination) while painting toilet paper rolls. In the picture, you can see Tessa holding the paintbrush in her left hand using a palmer/cylindrical grasp, which she then rotates into a digital grasp when painting. At this stage this is what we would expect, and is developmentally appropriate for her. Hand dominance has not yet developed, and she usually alternates between her right and left hands when doing fine motor activities. 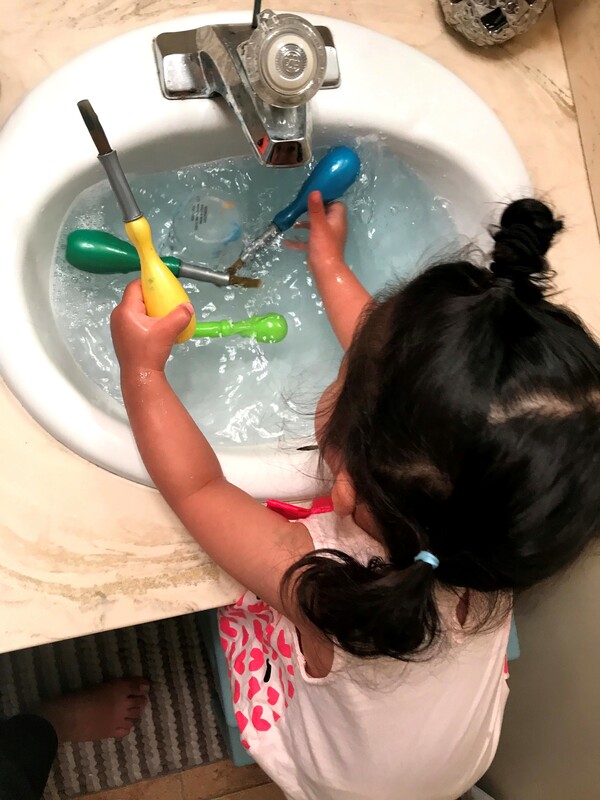 Of course, in this household, cleaning up is always a part of her responsibilities! Such a great quick and easy sensory activity while cleaning the paint off of the brushes! Then…NAP TIME! While Tess was sleeping and our craft drying some more, I set up a couple things so that she can explore in the afternoon. Figure out what we made yet? Our afternoon activity was an ” I spy” game, which included climbing up the tower and looking for things through the binoculars! 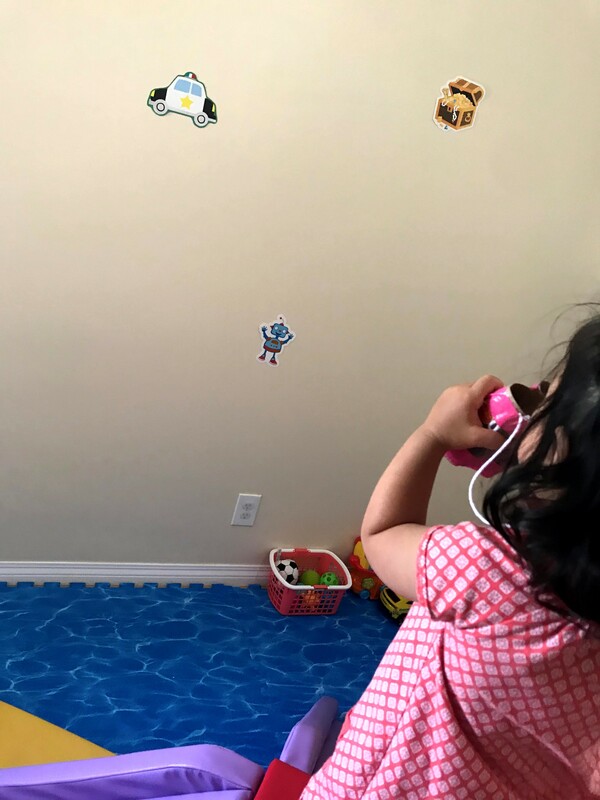 One of the things that was important to me in her playroom was to have at least one wall of blank space to work on developing her visual skills. The most foundational visual skill in prep for future academics is visual fixation. Fixation is the ability for your eyes to fixate or maintain gaze on a specific target. 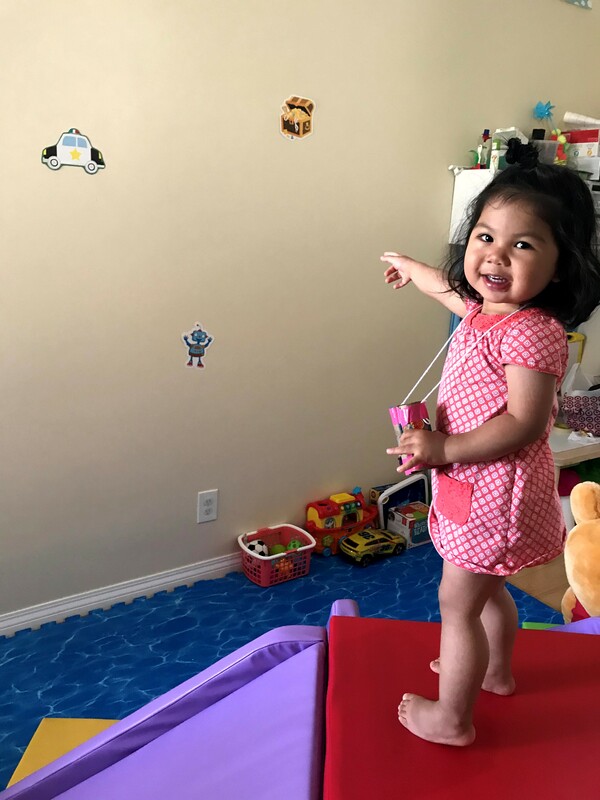 In this activity, I put up a couple of “target” objects for her to find. I called out an object (“police car!”) and she would look for it through her binoculars, then look at it for three (3) seconds (we’re working on practicing holding her gaze for short periods). There are many other skills happening here, but because I wanted to work specifically on her fixation skills today, the binoculars actually helps her fixate by blocking out her peripheral vision (basically, the “rest” of the stuff other than what she is looking at). Once we finished spying objects, we also went on a “bug hunt.” I placed pom pom “bugs” all around the tower, and Tessa went around catching the bugs and putting them in her bug jar. 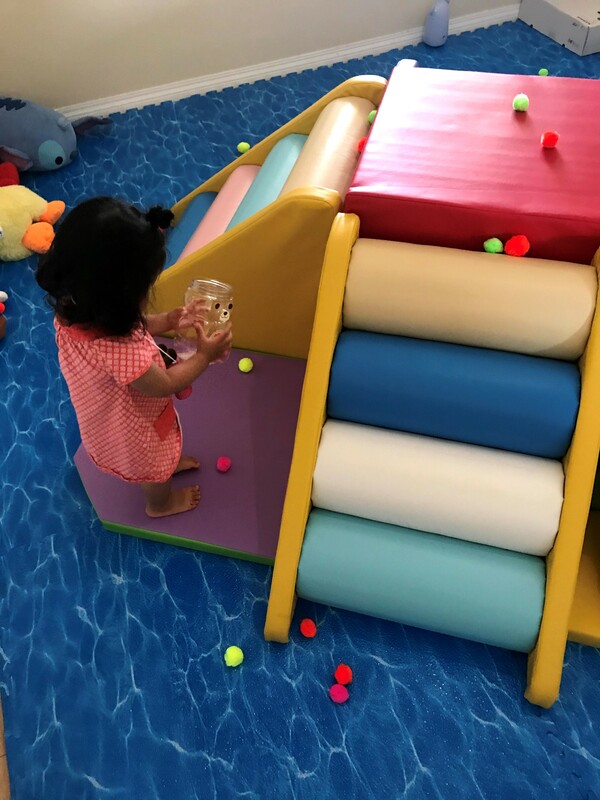 This one is a pretty tricky activity that incorporates so many motor movements–balancing, climbing, reaching, pulling, pushing, the list goes on, and on! In the picture below, you can see her climbing the stairs while weight shifting (one leg up, one leg down), reaching forward with her right arm and holding the bug jar in her left! Not to mention the visual skills involved – fixation, scanning, tracking, focusing, and the fine motor skills of picking up the pom poms and placing them in the container. Also, I may not be a speech therapist but the language opportunity in activities like this are amazing–colors, directional words, positional words, etc.! 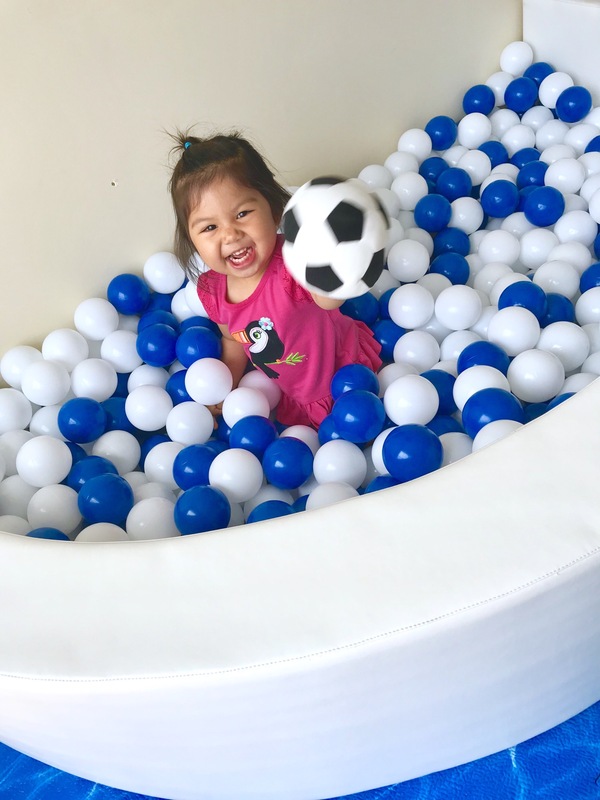 It’s been a couple weeks since our in-home soft play was delivered by the very handsome boys of MESH and we have been itching to share some of the fun we have been having! As a Pediatric Therapist, and more importantly as a mommy to my 19 month old, Tessa, I am always looking for fun ways to make our playtime purposeful and developmentally stimulating. Needless to say, I’m so excited to be able to share some of our activities that we do with all of you and hope it can help drive some fun playtime with your family, as well! 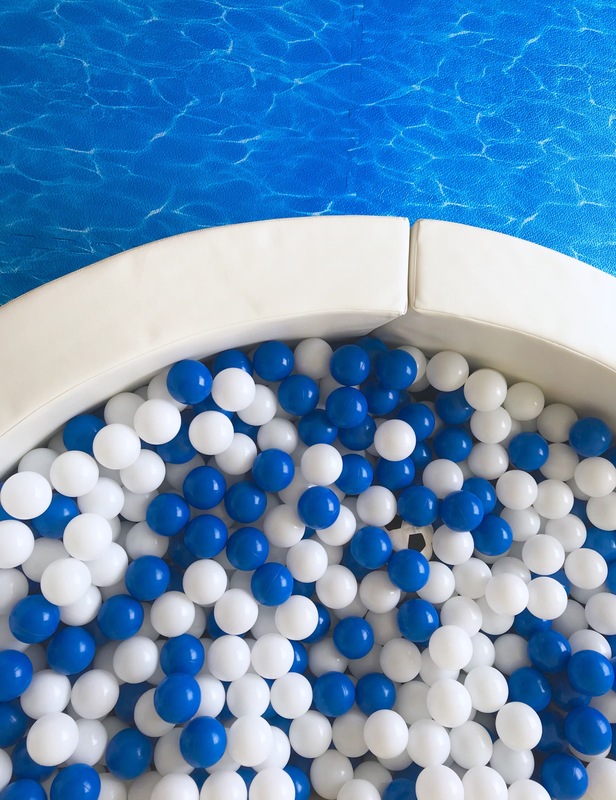 Can you find the soccer ball hidden in the ball pit below? Tess loved throwing herself in the pit in search of her beloved soccer ball! And that face when she finally finds the ball was just priceless! 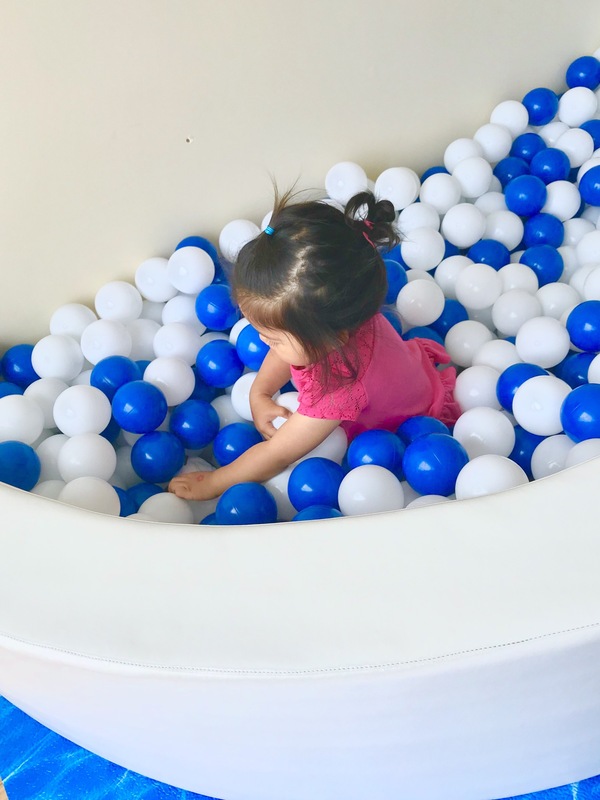 Activities can always be modified for the itty bitties by using a bigger ball with brighter colors like a beach ball, and plopping it on top of the balls so that they can explore the tactile and visual difference between the beach ball and ball pit balls! For the “big kids” you can hide smaller objects, or similar colored objects to make it even trickier! There are so many fun ways to explore figure ground, and to top it all off, you are helping to develop your child(ren)’s ability to be an efficient reader as well as writer by starting to work on the fundamental skills early! I knew Carissa as an acquaintance from high school years. While we didn’t attend the same schools, nor did we have the same circle of friends, I always adored her aura. Fast forward 10+ years later, she married Stuart, a longtime best friend of mine, and they are perfect for each other. Carissa is a bright, genuine, and passionate gal, and those qualities exude throughout her work. Carissa Woo Photography has been photographing kids and families for 8 years. Fun, colorful, candid are adjectives that best describe their work. 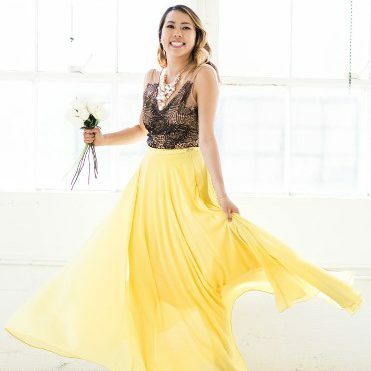 At Carissa Woo Photography, they strive to be a refreshing little company focused on love–because that’s what you’re hiring them to capture. Carissa and her team adore what they do, and fall in love with each of their clients. Every wonderful family has so much personality to share and they feel lucky to be witnesses to those moments, to capture them, to make them timeless. 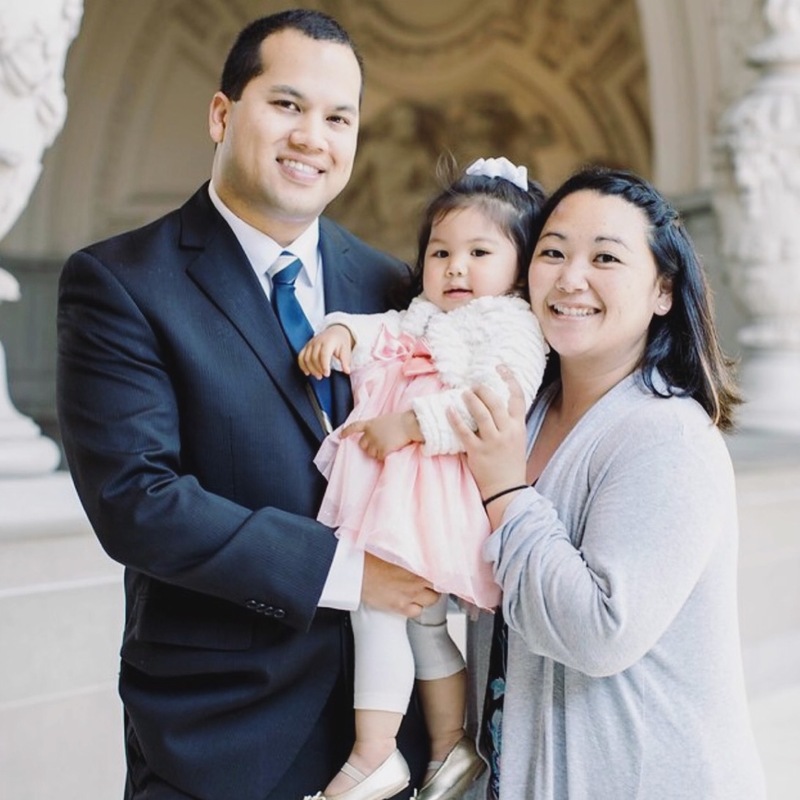 Book Carissa Woo and her team for your family’s photography needs; you’ll be happy you did. Inquire about our Play + Photography package deals. Meet our Pediatric OT partner-turned-friend Lina! We are incredibly excited and honored to have such a passionate, compassionate, and knowledgeable OT partner. She’ll be sharing invaluable resources with all of us, so don’t miss out. 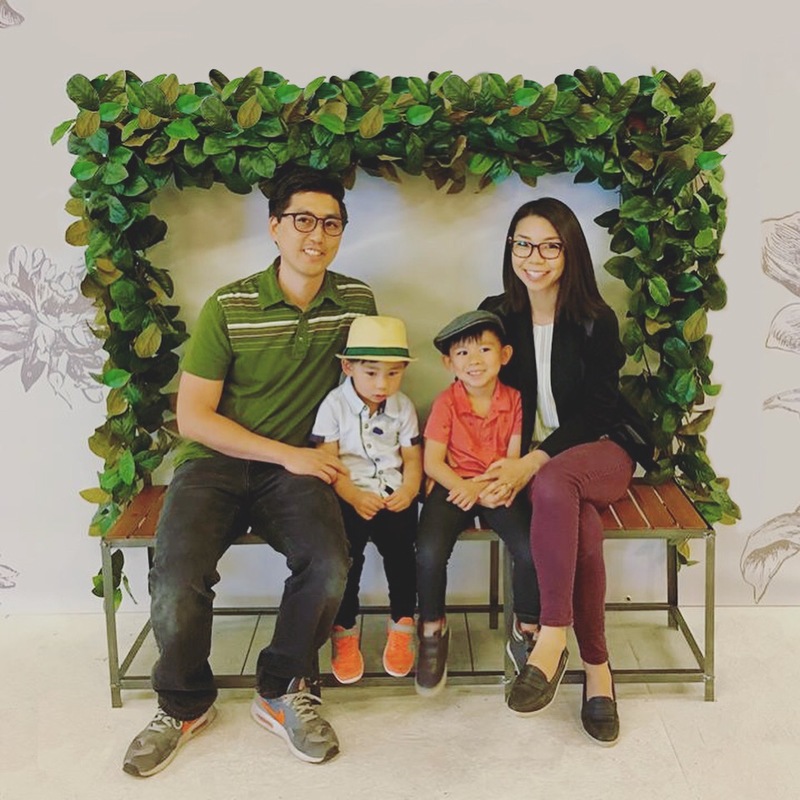 Lina Awshee, COTA/L, COVT is a Pediatric Occupational Therapist currently practicing in a school-based setting in the South Bay. Prior to practicing full-time as a COTA, Lina also practiced as a Pediatric Behavioral Therapist, as well as a Pediatric Vision Therapist. 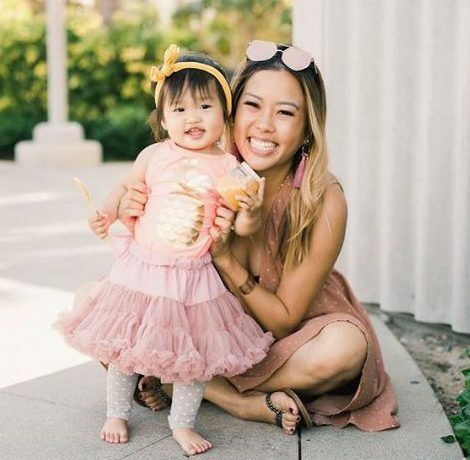 Now a mommy to her sweet toddler daughter Tessa, Lina enjoys applying her passion of pediatric development into her daily play and interactions with Tessa, and watching her grow and develop. Lina and her husband Mike are high school sweethearts. Both growing up in the South Bay, they are thrilled to call Torrance their home. The Awshees enjoy spending time at the park and beach, as well as playing and watching their favorite sport–soccer! Lina and Mike both work in the medical field, and share a passion for pediatric development and helping the special needs community. Having lost their son with special needs, they strive to contribute positively to the special needs community in his honor, while prioritizing raising Tessa to the see the beauty in diversity, and to be a friend to all. Welcome to the MESH kids co. Blog! Howdy Friends and Future Friends! We’re thrilled to begin our blogging journey and share with you around topics like Soft Sensory Play, Motherhood, Fatherhood, Parenting, Pediatric Occupational Therapy, Child Development, Child Safety, How Tos, DIYs, Trends, and beyond. We’re open to topic suggestions, requests, and even contributed content. For those of you interested in being a Contributor, please reach out to us here. MESH kids co. is a soft sensory play company, with children’s happiness and wellness as a core focus. MESH stands for Matteo, Eunice, Samuel, and Henry. Stay tuned for fun and engaging content about children, parents, and family.